This book is the culmination of fifteen years of the author’s research into dyslexia. As a dyslexic himself, the author grew up with many difficulties in dealing with both family and school life. As an adult he wanted to understand more about dyslexia, how it affects individuals and be better prepared if dyslexia affected his own children. So he began an academic study of the emotional effects, rather than educational interventions, based on the collection of the neurological deficit symptoms defined as dyslexia. The book begins by reviewing the cause and effects of depression, starting from anxiety and leading through defensive mechanisms to depression. 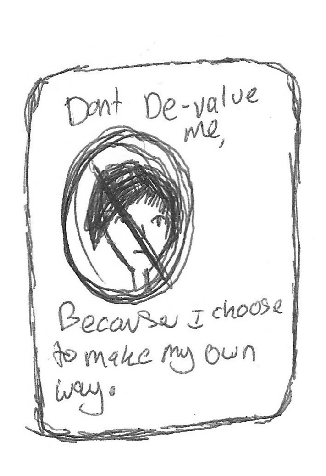 Parallels were made to other learning disability groups who also suffer from depression, suggesting that groups that experience exclusion from mainstream society are at higher risk of depression. The book also investigates dyslexia, by reviewing past empirical research into its symptoms and diagnosis, into how it affects individuals at school, at home and lastly in the workplace. Such a review was felt to be needed to enlighten the reader to the historical aspect of dyslexia, which many believe to be ‘medical in cause, but educational in treatment’. Whilst dyslexia may have been recognised by many medical minds for over a century, it has only been fully recognised by educationalists for less than a decade, thus the study of secondary manifestations due to a lack of recognition by teachers is the basis for this book. A review is also given of several of the authors own published works, of which two form pilot studies for this book. The main study of N=29 adult dyslexics used both qualitative (Interpretative Phenomenological Analysis-IPA) and quantitative methodologies. IPA was found to be beneficial in understanding the life experiences and secondary manifestations in participants. The majority of participants were only diagnosed as dyslexic after leaving school and this the author finds typical of the many dyslexics he has encountered. Whilst the study set out to investigate depression as a sub-factor, it turned out to be the main focus of the study, as the majority of those who took part were depressed at some points in their child and/or adult lives. Gender also turned out to be an important variable in understanding how male and female dyslexics cope with the educational experiences they encountered. In the discussion chapter, three hypothetical models of how dyslexics cope are suggested based on parenting type and style, through an investigation of cause and effect, leading to proposed interventions to tackle helplessness developing from mainstream education. 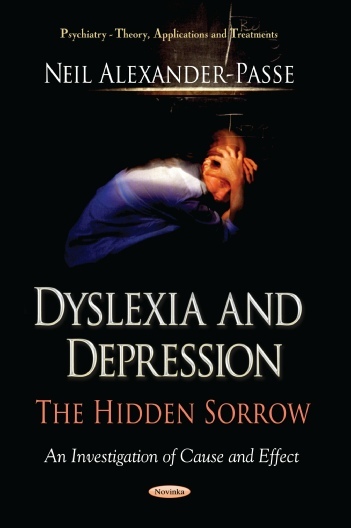 This book is a suitable reference book for a range of individuals, beginning with researchers in the field; to educationalists looking to understand the secondary and long-term effects of the condition; to parents of dyslexics looking to understand their children; and finally to dyslexics themselves, who are looking to understand their condition better. It is hoped that dyslexics who read this book will realise that their feelings of being an outsider are typical of those living with a ‘hidden’ disability or disorder that touches every part of their lives. This book has been an emotional journey for both the author and those who took part in the study. Many participants noted that they knew very few, if any, dyslexics and their interview was the first time they had taken time to understand and discuss their dyslexia and how the effects of their childhood and school experiences had manifested themselves into lifelong secondary psychological and emotional affects. 3.25. Do You Call Yourself Successful?